iPhone 5 vs Samsung Galaxy S3 Mini: Will a Smaller Screen Help? The Samsung Galaxy S3 already poses a formidable threat to Apple’s iPhone. Some fans of the phone however may be wondering why rumors are pointing to Samsung releasing a smaller version of the phone. Smartphones in general have been increasing in screen size, so it may seem weird for a phone to go in reverse. However will an iPhone 5 vs Samsung Galaxy S3 Mini debate be something that Samsung will have more of an advantage in? Despite all of its glory, plenty of consumers have complained that the Galaxy S3 is, well, too big. The 4.8 inch screen just won’t fit comfortably in some people’s hands and likewise makes it difficult to just use with one hand. Some people also may not like having such a large device in their pockets. In turn many of these people stay with iPhone because they are more comfortable with its size, and even the 4-inch screen still allows for easy use with one hand. 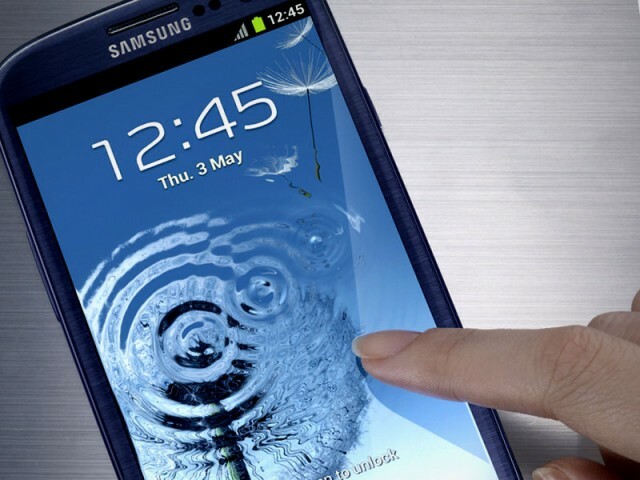 So providing a version of the S3 with a smaller screen may convince some people to garner more of an interest. However, even with a 4 inch screen, the other specs aren’t looking too hot for the smaller phone. You also need to look at some other features in the iPhone 5 vs Samsung Galaxy S3 Mini debate. While it sports the recognizable Galaxy S3 name, the rumored specs don’t quite match up. The phone will sport a 5 MP camera as opposed to the 8 MP one on the iPhone 5 and Galaxy S3. It will also sadly sport a less powerful processor and a smaller battery than its bigger brother. So what comes out of the iPhone 5 vs Samsung Galaxy S3 Mini argument? Sadly the smaller phone won’t be a great challenger to the iPhone. Despite its smaller and in some ways more comfortable size, the phone just cuts back on things like camera quality and processing power. Maybe some people looking to jump ship from the iPhone 5 will look at the Galaxy S3 Mini, but in my opinion Samsung either needs to release a stronger version of the smaller phone or just stick with their current plan with the 4.8 inch Galaxy S3.